In 2008, football fans in Kazan had something to smile about. Their team, Rubin, had conducted some canny business in the transfer window. The season began with seven wins in a row, including victories over traditional heavyweights like Lokomotiv and Dinamo Moscow, plus reigning champions Zenit St Petersburg. Rubin would go on to win the league with room to spare, becoming one of the few teams from outside Moscow and Petersburg to do so. Also in Rubin’s group were the eventual winners, Inter Milan. Local paper Business Online dubbed it the “group of death”. When they travelled to Barcelona in October, Rubin had garnered a single point from two games, thanks to an unexpected draw with Inter. They were 50-1 outsiders for the game. In short, no one was expecting much from Rubin. But then, two minutes from the start of the game, the midfielder Alexander Ryazantsev scored a screamer, rifling into the top corner from 30 yards. And then, with the scores level in the 73rd minute, Rubin’s Turkish winger Gökdeniz Karadeniz put the Russians back in front. 2-1. For the remaining 20 minutes of the match Barcelona poured forward, twice hitting the post, while Rubin’s Turkmen manager Kurban Berdyev sat fondling his prayer beads and muttering to himself. When the final whistle blew, he fell to his knees and lifted his arms to the heavens. Before long the team received the personal congratulations of Dmitry Medvedev, President of Russia. Kirill recalls that for ten minutes after the end of the game, he was still nervous that Rubin would concede. The result caused shockwaves around Europe. Journalists called the victory a shock, a sensation. “Barcelona’s shame”, some wrote. “The champions of Europe have been humbled”. No one had much to say about Rubin themselves, of course, beyond references from journalists to “the unknown Russian champions”. Barcelona’s players and manager were circumspect. “If we want to get out the group, we’ll just have to win in Kazan,” said their Swedish striker Zlatan Ibrahimovic. “Today we were unlucky.” Ibrahimovic did indeed score in the return leg in Russia two weeks later, but Barcelona could only draw. Somehow, Rubin had taken four points over two games from the reigning champions. And still not made it out of the group. 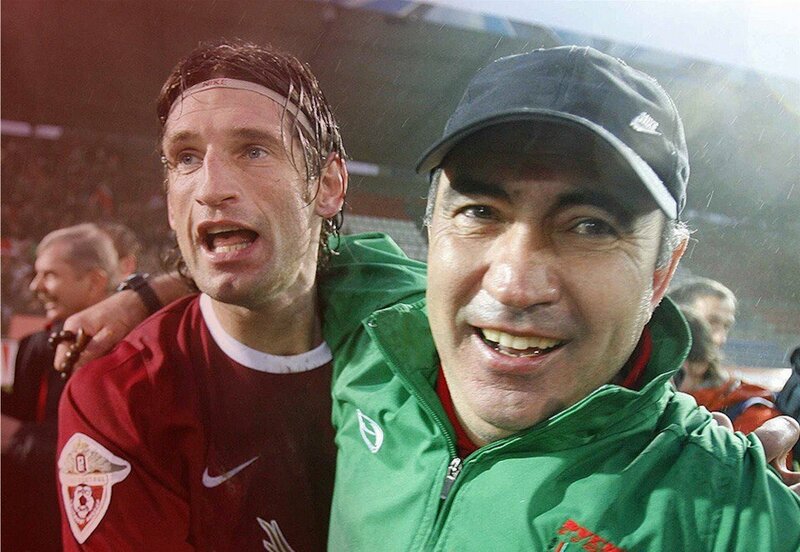 Much of Rubin’s success was down to their manager at the time, the taciturn and mysterious Berdyev. One the one hand, he’s the only manager in Russia who has been able to win multiple titles with a “provincial” team. On the other, he’s spent the last ten years of his career mired in accusations about dodgy deals and financial irregularities. No matter the weather, he always wears a tatty jacket at home games, and a tracksuit on the road. He unfailingly has his Muslim prayer beads to hand, rarely gives interviews and shies away from public appearances. Berdyev is the polar opposite of modern conceptions about progressive football management. After 12 years at the club, Berdyev was fired in 2013. It had been coming. The rumours were that he’d fallen out with the club hierarchy, that his transfer dealings were misguided, that he’d been guilty of financial fiddlings. 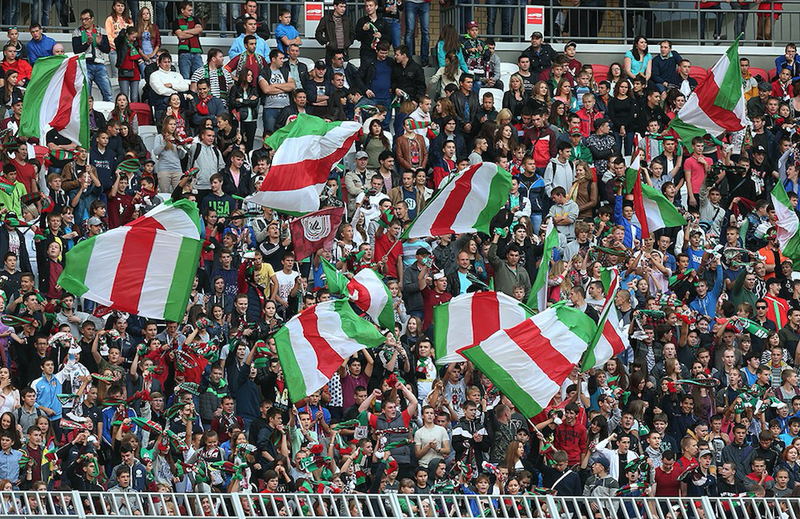 What’s more, the defensive football that had brought Rubin victory over Barcelona and two league titles was grating on supporters, who considered it dull. The decision was made to change the footballing philosophy of the team. Berdyev’s replacement, Rinat Bilyaletdinov, didn’t even have a full coaching licence. His first season saw Rubin make the Europa League, Europe’s second-tier cup competition, before he was sacked the following year. The club turned next to a foreigner, the up and coming Spaniard Javi Gracia. He lasted less than a season. In the meantime, Berdyev made his way to the even more modest surroundings of FC Rostov, in southern Russian. In his first season there he saved them from relegation from the top flight. Then, remarkably, he qualified them for the Champions League, where he repeated his trick of pulling off an unlikely victory against continental royalty — in this case, a home win against German giants Bayern Munich. Clearly this was not a coincidence. Berdyev had confirmed his reputation, if not as the most successful manager in the country, then as the modern Russian coach who was most able to produce miracles. In Kazan, people began to whisper that it might be time to bring him back. After failing to land the Spartak Moscow job, Berdyev made a sensational return to Kazan in June 2017. Before long, the talk was of an imminent return to the team’s Barcelona-besting peak. He himself said he had “come home.” But there was no miracle repeat. In his first season back, Rubin finished tenth, one of the worst results in the side’s history. 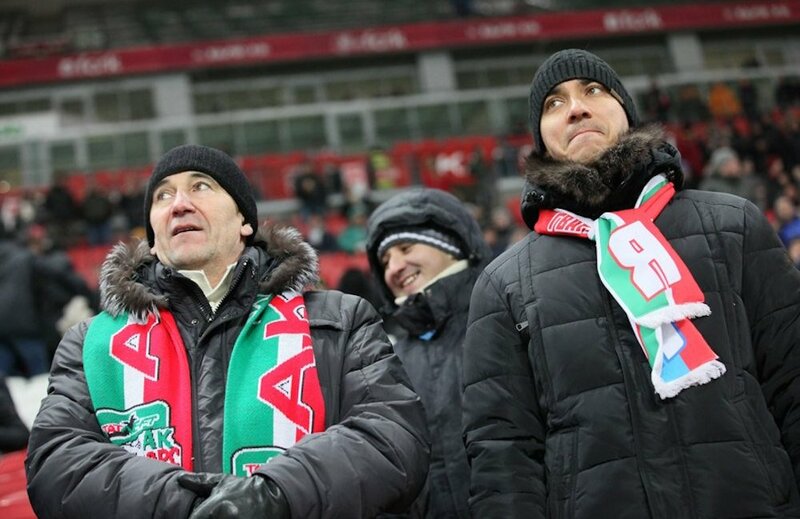 Crestfallen supporters began to remember why exactly Berdyev had been removed in the first place. “There was no guarantee that this middling side would suddenly become a force again,” laments Kirill. “But there should have been some movement in the right direction. And Rubin are going nowhere.” Even the silver linings turned out to have clouds. Rubin moved into a new stadium, constructed ahead of the World Cup — but very few fans showed up. Berdyev is not getting the support he needs in terms of playing staff, either. The players he trusts are leaving the club or retiring. This summer, Karadeniz, scorer of the winning goal against Barcelona, left the club after ten years. Also on the way out is Sergey Ryzhikov, the only goalkeeper Lionel Messi has failed to score against in four attempts and one of the last players who was on the pitch nine years hence. Berdyev is still there. If he has a plan as to what to do next, he isn’t telling anyone. In football, money can buy you happiness. Teams who pay their players more win more, and Rubin can’t afford to do so. “No one has any illusions anymore. We might get into the Europe League but the Champions League is a dream,” says Airat. “Managers need time to build teams, to test out players, to work on them. A return to Europe is possible, but if Rubin don’t get there next season then it’ll become more difficult to justify the billions of roubles that go into the club.” The honeymoon period when fans were licking their lips over Berdyev’s return is firmly over. No one knows if the club’s rebirth will be successful. Happy memories are a wonderful thing. Rubin’s fans just wish they had more than one.